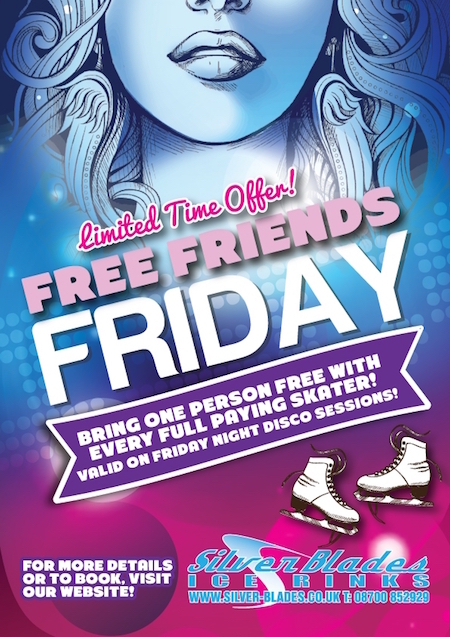 BRING ONE PERSON FREE WITH EVERY FULL PAYING SKATER! Meeting inside SilverBlades Altrincham, Oakfield Road, Altrincham, Cheshire, WA14 1BA. VALID ON FRIDAY NIGHT DISCO SESSIONS! So £5 for your ticket instead of £10. Includes admission and skate hire.